Accepted on portfolio strength and schooled at St. Lawrence College in Kingston , he earned an honours Diploma in Creative and Visual Arts: Specialty: Fine Art Painting. He was mentored by Anthony Eyton RA . Funding issues prevented the Artist from pursuing further studies despite juried exhibition acceptance into the Byam Shaw School of Art with entrance into the Royal Academy of Arts to follow, both in London England. With growing family demands he then applied himself to the health sciences, as a practising health care professional however, never losing his creative abilities and passion for the creative arts , including but not limited to, continued sketching and drawing, logo designs and graphic arts, poetry and song writing composition and unique home landscaping designs as an avid gardener. He is also a former bass player in a ill- fated garage band. He is currently attempting to teach himself the guitar. His past works are in private collections throughout the U.K and North America. In 2016 he established The Red Road Art Studio as a means to not only celebrate self-discovery in retirement, but also to and most importantly, return to Fine Art Painting. Current works , not in private collections, are offered for purchase. 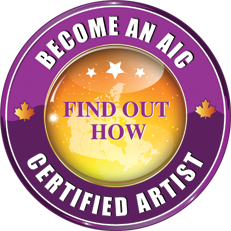 Every current artwork comes with a numbered certificate of authenticity from Red Road Art Studio and verified as original with the Artists' signature. 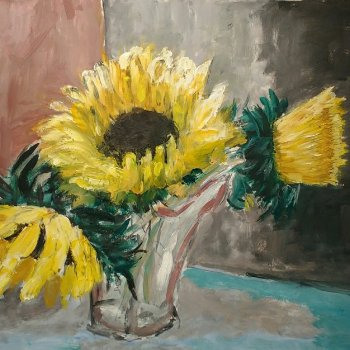 The Artist is grateful for the loving support of his wife and family. The Artist sincerely thanks you for visiting his website and for your interest in his artworks.